The Thurrock 14-acre High House Production Park located at Purfleet in the Thames Gateway, Europe's largest regeneration area. The site is home to the Royal Opera House's Bob and Tamar Manoukian Production Workshop, where teams of highly-skilled scenic painters, carpenters and metalworkers create sets and scenery for productions at Covent Garden, and has been a BP Big Screens host in recent years. 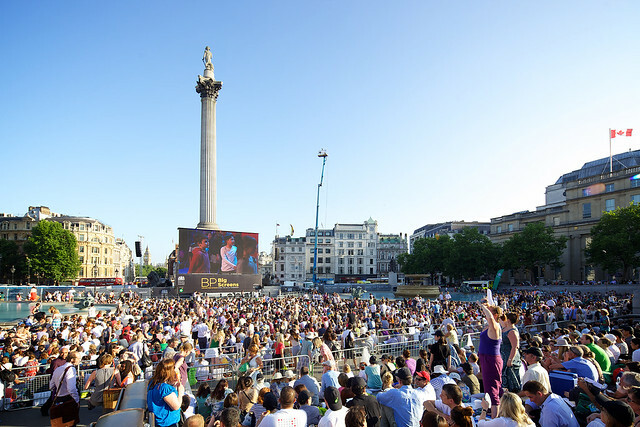 Click here to find out more about our BP Big Screens festivals.